Chemotherapy safety for our patients, staff, and pet owners is extremely important! Special care is taken in chemotherapy administration at ACIC and pet owners are also counseled carefully on the handling of their pets waste after chemotherapy administration. Chemotherapy refers to the use of anti-cancer drugs given intravenously, orally, or subcutaneously that will circulate throughout the body to attack cancer cells. With certain types of cancers, such as lymphoma, the first line of therapy is chemotherapy because the disease has a high chance of being present systemically at the time of diagnosis. With other types of cancers (many sarcomas, carcinomas, etc.) surgery is the first line of therapy and chemotherapy may be used if after surgery the disease is still present microscopically at the surgical site or the cancer is determined to be at high risk for spread (e.g. osteosarcoma). The chemotherapy experience for pets is typically far better than for people. For example, pets will usually not lose hair, although certain breeds like Poodles and Old English Sheepdogs may be at risk. Gastrointestinal side effects such as nausea, vomiting, or diarrhea are possible but significant issues occur in <5% of patients treated. Low blood counts are possible and for this reason we monitor this carefully and start antibiotics if blood counts are low to avoid serious side effects such as sepsis (systemic infection). 1. Nausea and vomiting – usually mild and self-limiting. Diarrhea-1-3 days of soft stools is fairly typical after Adriamycin chemotherapy, but if any fresh blood or blood with mucus is seen, please call. This can usually be controlled with medications. 2. Low white blood cell and/or platelet counts–when seen, this occurs 7-10 days after treatment. This can cause decreased ability to fight infection and can possibly inhibit the blood’s ability to clot resulting in bleeding. 3. Loss of hair, darkening of skin–more common in certain breeds (curly coated breeds such as Poodles, Old English Sheepdogs). 4. Inflammation, pain, and tissue damage if this drug is injected outside of the vein. Extreme care is taken by the oncology nurses at ACIC to be sure that an indwelling, well-placed catheter is used for all IV chemotherapy, including Adriamycin. Pets that are difficult to restrain may require mild sedation during chemotherapy administration. 5. Heart disease can be seen secondary to Adriamycin, however, in the normal heart, this only occurs after a maximum number of dosages have been exceeded. It is important that we know that your dog or cat’s heart is normal prior to the use of this drug. An echocardiogram may be necessary if underlying heart disease is suspected prior to using Adriamycin. Breeds at higher risk of heart disease (e.g. Boxer's, Doberman pinschers, Cavalier King Charles Spaniels, etc.) are advised to have echocardiograms performed prior to Adriamycin administration even if there is no obvious evidence of heart disease present (abnormal heart rhythm, murmur, radiographic heart enlargement, etc.). 1. Constipation or diarrhea. Inflammation, pain, and tissue damage if this drug is injected outside of the vein. 2. Muscle weakness, peripheral neuropathies (rare). 3. Low white blood cell and/or platelet count–usually only seen as a potential problem with vinblastine. When seen, this occurs 7-10 days after the vinblastine treatment, and can result in decreased ability to fight infection and can possibly inhibit the blood’s ability to clot resulting in bleeding or bruising. 1. Nausea, vomiting, diarrhea, loss of appetite. If any of these occur, it is usually 2-5 days after treatment. 2. Low white blood cell counts–if seen, occurs 7-10 days after treatment, and can result in decreased ability to fight infection. Platelets are usually spared in the case of cytoxan. 3. Bladder irritation can occur, please encourage water intake and adequate exercise on the days you give cytoxan. If you notice blood in the urine or straining to urinate, please call us. 2. Increased water intake and resultant increased need to urinate. 3. Stomach irritation (much like aspirin can cause GI upset) can cause vomiting, poor appetite, and dark stools. Please call if any GI symptoms are noted. 1. Nausea and vomiting–usually only seen during administration of the drug or within first 24-48 hours, often controlled with medication. 2. Low white blood count and/or platelet count–typically not a problem with cisplatin, but can occur. Seen 7-10 days after and sometimes up to 16 days after treatment – resulting in decreased ability to fight infection, and possibly bleeding. 3. Kidney damage–the mechanism of this problem is not completely known, but we do know that "flushing" the kidneys (diuresing with large volumes of fluids) prior to and during the administration of the drug usually prevents kidney damage. Increased frequency of urination–generally only lasts for a couple of days following treatment and is due to the high volumes of fluids used during treatment. Cisplatin is not as commonly used in veterinary oncology practice currently. 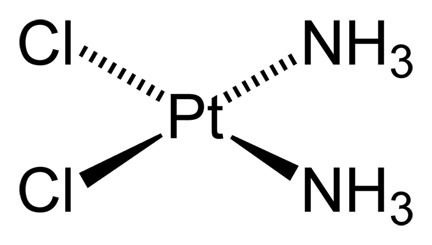 It has been widely replaced by Carboplatin, a close, but less toxic relative. 1. Nausea, vomiting, diarrhea, loss of appetite – relatively uncommon, but can occur 2-5 days after treatment. These side effects are significantly less than those seen with cisplatin. 2. Low white blood cell and/or platelet counts– highest risk at 7-10 days after treatment. A second drop in blood counts can occasionally be seen at 14-21 days. 3. Kidney damage DOES NOT appear to be a problem with carboplatin (as it is with cisplatin, it’s close relative). 1. Nausea, vomiting and loss of appetite can occur, but are extremely uncommon with Mitoxantrone. 2. Low white blood cell and/or platelet counts–highest risk at 7-10 days after treatment. 1. Nausea, vomiting, diarrhea, and loss of appetite can be quite severe in some patients. 2. 2. Low white blood cell and/or platelet counts can result in decreased ability to fight infection and possible secondary bleeding or bruising. 1. Nausea and vomiting, usually mild and self limiting. Diarrhea, sometimes with fresh blood and mucous, this can often be controlled with medication. 2. Low white blood cell and/or platelet counts with the highest risk 7-14 days after treatment. 1. Low white blood cell and/or platelet count–can occur at almost anytime during treatment, so patients on longer-term therapy must be periodically monitored. 2. Drops in counts tend to be mild and take several weeks to several months to occur. 1. Low white blood cell and/or platelet counts- highest risk 7-14 days after treatment. Degree of suppression of counts depends on route of administration. Longer IV infusions have greater risk of lowering blood counts; subcutaneous injections seem to have lower risk. GI upset (nausea, vomiting) can occur, but tend to be rare. 2. Cytosine arabinoside, when given as a slow IV infusion (over several hours) is able to cross the blood-brain barrier making it an effective drug for central nervous system neoplasia. 1. Acute allergic reaction (anaphylaxis), usually seen within 30 minutes of administration of this drug. It is usually prevented with administration of Benadryl (diphenhydramine), an antihistamine, prior to treatment. 2. Pancreatitis and resultant vomiting and diarrhea is possible, but uncommon. Elspar cannot be given if platelet counts are low prior to treatment as coagulation abnormalities could result causing bleeding or bruising. 1. Nausea and vomiting occur infrequently. 2. Low white blood cell and/or platelet counts can occur, however, they may not occur for weeks to months after being on the medication. 3. Melphalan must be used with caution in cats as it can cause more severe and potentially permanent myelosuppression. 1. An oral chemotherapeutic agent primarily used for central nervous system cancers, mast cell tumors, histiocytic sarcomas and T-cell lymphomas. 2. Low white blood cell and/or platelet counts can be significant, cumulative, and delayed (up to 6 weeks). 3. Nausea and vomiting with the greatest risk 2-5 days after administration of the chemotherapy. 4. Significant liver toxicity has been noted in dogs, especially in patients with abnormal liver function. Liver toxicity in patients with normal liver function at the time of CCNU use tends to be uncommon. The use of liver protectants (e.g. Denamarin) can reduce the severity of liver enzyme elevations. It appears to be far less common of a concern in cats. 1. 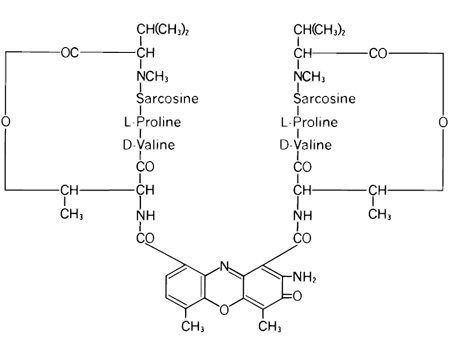 Epirubicin is very similar to Adriamycin (doxorubicin) in it's efficacy. It is used primarily for hemangiosarcoma, lymphoma, or other cancers as a substitute for Adriamycin. 2. Low white blood cell and/or platelet counts can be seen, occurring 7-10 days after drug administration. 3. Nausea and vomiting with the greatest risk 2-5 days after administration. 4. Same class of drug as Adriamycin, but less likely to cause cardiac side effects. 1. Tanovea CA-1 is a novel, anti-proliferative, small molecule designed to target and kill lymphoma cells. It has been studied in dogs with naive and elapsed/refractory lymphoma. 2. Tanovea CA-1 is given once every 3 weeks, generally for 5 treatments. It is even as a 30-minue IV infusion. 3. Tanovea CA-1 appears to be generally well tolerated with a high response rate when compared to other rescue protocols. When side effects occur, the majority of adverse reactions were mild. Most common adverse reactions include diarrhea, low white blood cell counts, weight loss, decreased appetite and lethargy. Due to the potential for decreased blood counts, a CBC is required 7-10 days following it's administration. 4. Less frequently seen are dermatologic side effects such as otitis external, dermatitis, ulcerations, and pyoderma (superficial skin infection). 5. Tanovea CA-1 has been associated with an infrequent, but potential life-threatening pulmonary fibrosis, which may be an idiosyncratic (random) toxicity. For this reason, it is contraindicated in the West Highland White Terrier breed due to it's risk for pulmonary fibrosis. Thoracic radiographs are advised as part of monitoring of the use of this dug. what if side effects occur? IMPORTANT: If you are uncertain about the significance of any sign/symptom you are seeing, it is better to be safe and call us rather than waiting and watching to see if the symptom resolves. Below are the most common side effects that can occur with chemotherapy and some tips on to manage more mild symptoms at home. Please do not hesitate to call us with any questions. The majority of side effects, if addressed early in their course (i.e. at the onset), will be self-limiting (readily resolve with minimal intervention). 1.) If symptoms such as loss of appetite or drooling occur, your pet may be nauseated. 2.) Discontinue feeding and withhold water for several hours. Reintroduce fluids by giving ice cubes every few hours that your pet can lick at. If no further vomiting occurs after 12-24 hours, try to start feeding a small, but frequent meal (bland food only). 3.) Start anti-nausea medications provided for your pet or call us for a prescription. Commonly used drugs include metoclopramide (Reglan), ondansetron (Zofran) and Cerenia. 4.) Call clinic if the symptoms persist longer than 24 hours. 1.) As for nausea, withhold food and water, but for 12-24 hours. 2.) If vomiting is mild, start anti-nausea medication (same as for nausea). 3.) If there is no further vomiting after 24 hours, offer small amounts of water or ice cubes only. 4.) If no further vomiting occurs after 24 hours, offer small amounts of a bland diet such as boiled chicken, boiled hamburger, cottage cheese, white rice, or a prescription intestinal diet (contact us or your primary care veterinarian for options). 5.) After an additional 24 hours, if no more vomiting occurs, you can gradually reintroduce the normal diet. 6.) If vomiting persists for more than 24 hours or is severe (e.g. more than 6 episodes within a few hours), call us or seek emergency care. 1.) If at any time diarrhea is severe, bloody, or appears black, or associated with a fever, contact us or your veterinarian immediately when symptoms start. 2.) If diarrhea is mild to moderate, offer a bland diet as described above. When symptoms improve, gradually reintroduce a normal diet over the next few days. 3.) FOR DOGS ONLY: Pepto-Bismol can be given (1 Tablespoon per 15 pounds of body weight every 6 to 8 hours). Do not give Pepto-Bismol to cats. 4.) For drugs that have a greater potential to cause diarrhea, we will send home medications at the time of treatment. Some common anti-diarrheals that we prescribe include sulfasalazine, metronidazole (Flagyl®)and Tylan®. 5.) If milder diarrhea does not improve within 72 hours, please contact us. 1.) With the majority of chemotherapy drugs given, blood counts are at risk to drop about 7-10 days after treatment. This "low point" in the blood count is called the "nadir". Some drugs, such as CCNU or Carboplatin, can have nadirs that occur at variable times. You will be instructed to obtain a CBC on your pet at the expected nadir of the drug given. For most chemotherapy agents, a CBC at 7-10 days following treatment is advised. For other drugs, CBC's may be necessary weekly. We will instruct you as to the appropriate timing for a post-treatment CBC. 2.) When white blood cell counts drop too low, your pet may not experience any side effects at all. If this low count is detected on a CBC prior to any symptoms developing, usually all that is necessary is to start antibiotics and you and your pet would never know a problem occurred. However, if counts drop too low and this is not identified, your pet's ability to fight infection can be compromised potentially leading to serious infections. 3.) Signs of infection can include lethargy, fever, vomiting, diarrhea, and poor appetite. If your pet is taking a drug that causes low blood counts and he/she starts showing any of these symptoms, take his/her rectal temperature if possible. Call us or your veterinarian IMMEDIATELY if the temperature is above 103.0° F (normal is 101.5-102.5° F) or if you are unable to obtain a temperature but your pet feels abnormally warm. 4.) Keep in mind that when your pet's defenses are lowered and he/she is more susceptible to infection, the source of infection can be from bacteria that normally live within the body. Therefore, a pet does not need to go outdoors or come in contact with animals that are ill to develop a serious infection. 5.) When chemotherapy affects blood cell counts by suppressing the bone marrow, white blood cells are at the greatest risk. Platelets are the next cell line that can be affected. Less commonly, when platelets are affected, there is an increased risk of bruising and bleeding. Lastly, red blood cells can be affected, but this is very uncommon. Anemia (low red blood cell counts) are more commonly seen in people receiving chemotherapy. 1.) Generally, when increased frequency of urination is noted it is associated with increased water intake and this is most commonly observed with prednisone/prednisolone therapy. When this is observed, DO NOT limit your pets water intake - provide access to plenty of fresh water at all times and walk/let outside as much as possible. Limiting water availability to a pet on prednisone can risk significant dehydration. 2.) If you observe symptoms that resemble a urinary tract infection (frequent urination - usually small amounts of urine produced, bloody urine, straining to urinate) after receiving cyclophosphamide (Cytoxan®), this could be due to a bladder wall irritation/inflammation called sterile hemorrhagic cystitis (SHC). If any of these symptoms occur, it is important to stop Cytoxan administration and call us right away. Symptoms usually resolve once the chemotherapy is stopped. If the symptoms are not recognized and the chemotherapy is continued, a more serious degree of SHC can occur that could potentially be irreversible. If you observe any of these symptoms and your pet is NOT receiving Cytoxan, a bladder infection is more likely and should be treated. Educating clients on the potential side effects and safety issues regarding the use of chemotherapy is an important focus at ACIC. We discuss all aspects of safety in managing pets at home that have had chemotherapy. In addition to written educational materials, we are available 24 hours a day, 7 days a week to answer your questions and concerns. Having some of the more commonly used medications for nausea and diarrhea on hand at home can be very helpful. Please ask our doctors or oncology technicians to help with prescriptions. Handouts regarding chemotherapy side effects and safety in handling the waste of pets that have had chemotherapy are provided to our clients.